We ate here mid August 2015 this year and could not rate it enough, the beautiful setting, delicious food and tranquil music is perfect. It is set back from the main strip so makes it feel even more romantic! We with our two children one who us 12 the other is 2 and they both loved it too my daughter especially loved the resident cats! The waiters male and female were so helpful, immediately we wanted to book this for our wedding reception venue next year and so happy this is going ahead we cannot wait to share this amazing restaurant with our friends and family. Thank you for making it a wonderful evening! My daugther and I ate here on our last night - the setting looked so lovely, but we had to wait some time before we were served. The prices and the bill looked reasonable enough but on paying by card, I was told that the payment was declined TWICE, and as it was all printed in Greek. I rather stupidly believed them. On receipt of my credit card statement, I was told by the card company that there was nothing I could do as I had entered my pin. I wrote a letter to the restuarant, which was ignored, of course. DO NOT PAY BY CARD HERE AS THEY ARE UNTRUSTWORTHY!!!!! We visited here for our last evening meal on our week's honemoon to Kalamaki and we are glad we did! We intended to book a table at Michaelos as we were told they get busy but couldn't get through on the phone and was a little too far off the main road for us to walk not knowing whether we would get a table. We weren't sure where this place was even though we had passed it most nights. Not sure why we hadn't visited sooner than we did but place didn't seem popular until our last night when there were loads being seated in the loverly garden area. Couples, families and even the local cats lay down nearby. We were welcomed into the restaurant by a very nice man with grey hair. I say this as he couldn't stop mentioning that I also had grey hair too and he said that made us brothers! We sat out in the garden which was very pretty with canopy, flowers and water feature. It was a small choice of menu but as the 'grey haired man' said. Why do other restaurants have so much choice? Less choice = better food. Well, his theory proved correct as the food was delicious. The staff there couldn't do enough for you. At the end of a wonderful evening the waiter even noticed I had spilled a drop of red wine on my white shirt and he quickly squirted me with a special stain remover. It was a bit like a scene out og Ghostbusters but it saved my new shirt from ending up in the rubbish bin! Keep up the good work. I would say this restaurant along with Dias & Stani are on a par as best restaurants in Kalamaki for 2012! The best restaurant in Kalamaki , by far. The setting is woderful, the food delicious and the price is average. Ate here 4 times in a week because food was devine. The staff are very friendly but the slight thing that lets this place down is the laid back service that you get. If they got the service right it would be spot on! I would recommend this place to anyone. Beautiful garden setting, really romantic and pretty. However, this was not at the top of the list when it came to food hence why we did not return. Food was average and I was disappointed with the lack of vegetarian choice (I had to have pasta in a Greek restaurant in Greece!) My husband was also served a stone cold espresso which ruined the ambience somewhat. Staff nice enough. My boyfriend and I ate here last year and also several times this year. We have tried many things off the menu and have never been disappointed, I would definitely say that this is the best restaurant in Kalamaki if not Zante. The hummous, tsatziki and stuffed peppers starters are all fantastic and probably the nicest moussaka I have tasted. The beef stifado was also delicious and the meat very tender. My boyfriend loved the octopus last year but they took it off the menu but he has since found the kalamari and shin of pork which he couldn't get enough of! We had the house rose and even though I'm not much of a wine drinker I really enjoyed it. The waiters are all lovely, very friendly and helpful. I'm sure they must have been sick of seeing us at the end of our holiday! Sometimes the service can be a bit slow but you're on holiday! Enjoy the scenery and the company you are with! If you want to eat fast then go to McDonalds in Laganas! If we go back to Zakynthos this will definitely be one of the first places I want to eat. I don't understand any of the negative comments at all - maybe things have changed a lot since 2006 but I could not fault it at all. Whilst sat in the garden you could hardly hear the noise from the resort - and it really felt like you were away from it all.... such a nice place Thank you for making our last night a great one! 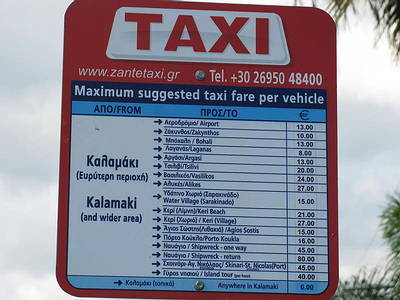 Zakanthi = 10/10 for everything! Best restaurant in Kalamaki BY A MILE. Can't fault it. Gorgeous surroundings, perfect mood, friendly, helpful staff, EXCELLENT food (and we tried many dishes) and the best restaurant I think I have ever eaten in. I would recommend this to anybody. 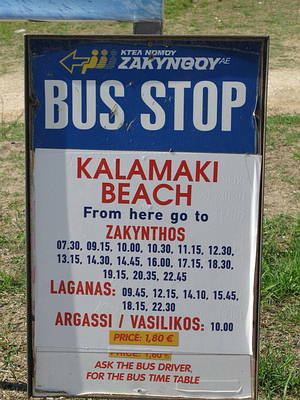 My fiance and I spent our first foreign holiday together in Kalamaki in October 2008 and became engaged the night we dined at Zakanoh. It was a wonderful evening, with an incredible atmosphere in the evening. we chose to dine in the garden area under the gazebo decorated with fairy lights. The food was the best I have ever tasted, and what a way to experience Mousaka and Baklava the traditional way. Unbeknown to me my fiance was trying to pluck up the courage all night to propose and although the restaurant was too busy for it to take place whilst we were there, it made the night so special. The staff were so kind, friendly and attentive. i was wondering if anyone could help me with the name of one of the waitors. he was very chatty and nice! if anyone knows the waitors names please let me no thanks! Could you please email me the full white wine list you have. This place is fabulous, the food & wine was superb along with the service. There is not one fault to pick with the place. I promise this, my fiance and i always seem to be jinxed when we goto restaurants as it always goes wrong one way or another. This place though was perfect. I would really love to get hold of the white wine we had with our meal. I believe the bottle was a thicker bottomed than normal, green in colour with Greek worded label. It was fantastic! and i want to buy more more more. Please could someone email me if know which one it is. Unfortunately we only ever had a juice here as we never made it back in the evening as we ran out of time. Lovely location especially sitting outside and very peaceful. The owner could not have been more friendly or informative. we visited this restaurant twice this year and would recomend the mousaka. the service was very good and the suroundings are lovely. Thankyou to Martin who prepared a table eslecially for us (well Lauren really).We have been to Kalamaki 3 times now and always try and visit this restaurant. Thanks Gail,Alan and obviously Lauren. I don't understand why this resturant is getting such bad markings. It's our second trip to Kalamaki and we have visited this resturant 4 times, we even got my parents and aunt and uncle to visit this resturant. The food is fab. We have tried so many different dishes among us it's hard to remember the names but we have never had a bad meal here. The setting is very beautiful and they have a small play area hidden away for the children which my son loved. The staff are very friendly and attentive. They even recognised us from our trip last year. The only problem I had was the tables felt quite high compaired to my chair. I am however a short person. i went to kalamaki with my boyfriend last year and thought it was excellent everything we had was lovely couldnt fault it at all we went a few times but unfortunatly only discovered it on the last week. The waiters were lovely and were happy to do anything for you it was like we had known them for years very catty but also hard working the best resturant we found happy to go again!!! !